displayed at the South Dakota Art Museum in 2011. 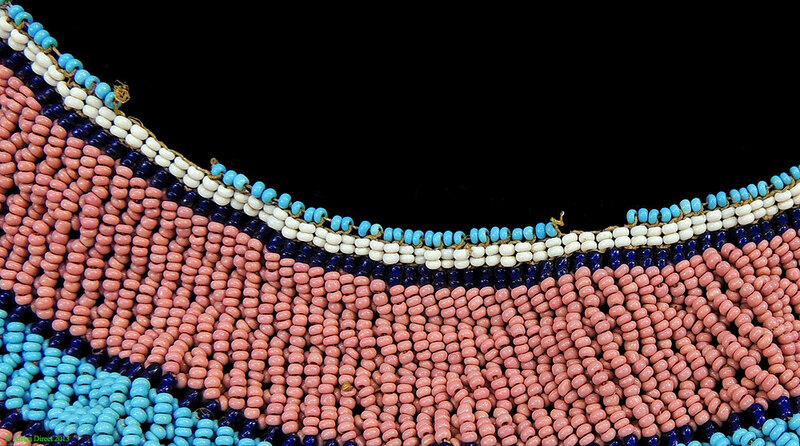 Additional Information: The Xhosa of the eastern Cape region of South Africa have a history of beadwork as long as that of the better known Zulu and Ndebele. The use of beaded garments, bags, jewelry and objects continue until today in the rural areas. 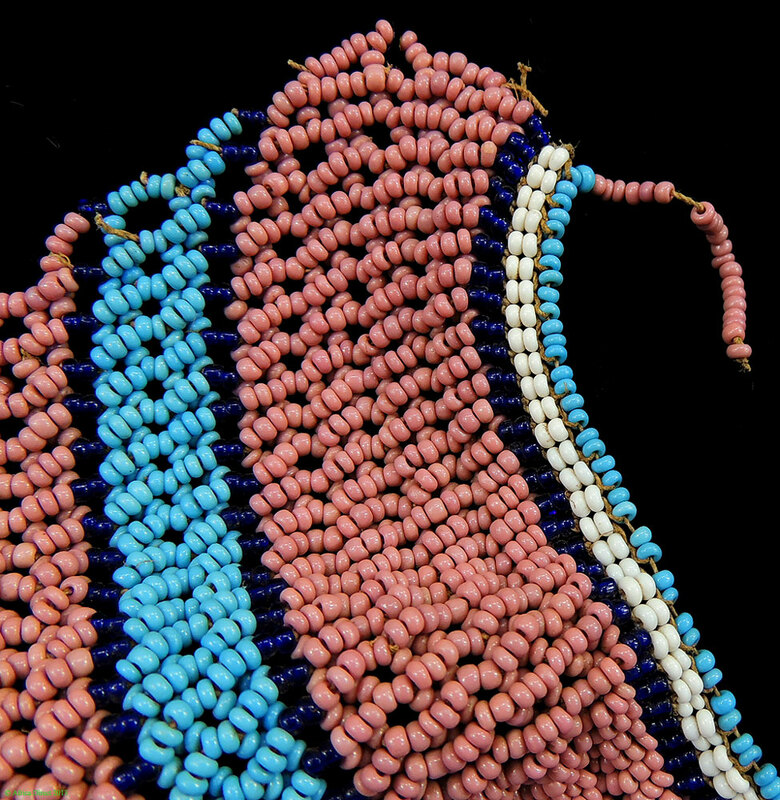 Called Icangci, this Xhosa necklace was traditionally worn by young initiates Xhosa man during dances and ceremonies as a sign of their status. Up to date both men and women were seen wearing such collars during ceremonies. 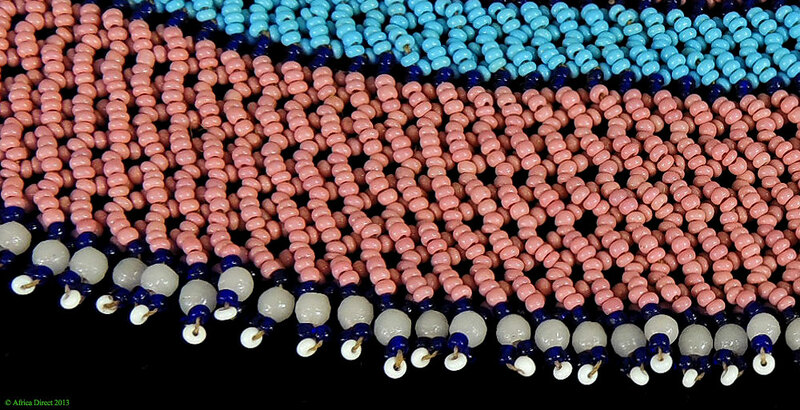 This is a beautiful Xhosa Beaded Collar Necklace similar to the one worn by Mandela. Nelson Mandela is Xhosa. There is a well-known picture of him as a young man, barechested, wearing a necklace like this one. 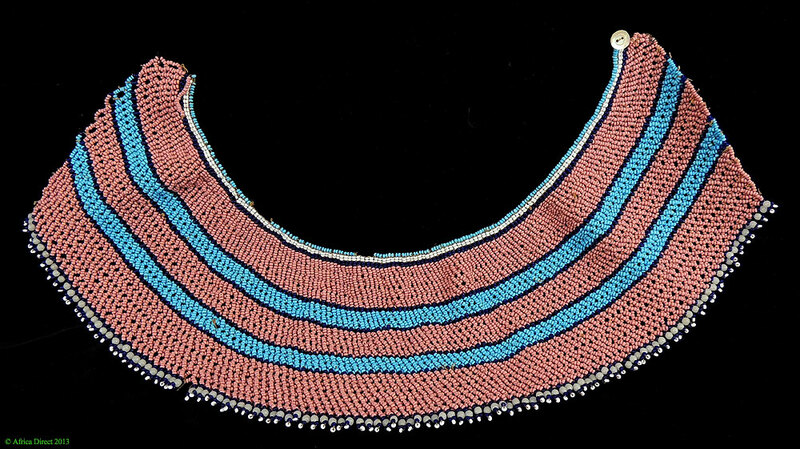 See photo of in a portrait published in Ezakwantu: Beadwork from the Eastern Cape, fig.27, p.56.